The Best Senior Living and Assisted Living in St. Louis! Thank you for your interest in The Fountains of West County! We offer Independent Living, Assisted Living & Memory Care in St. Louis with an “old time neighborhood” ambiance. Located in the heart of West County in St. Louis, we are a part of your neighborhood – close to medical centers, shopping and entertainment and most importantly – family and friends. Whether you choose to develop fulfilling relationships with your new neighbors, discover new activities with friends, or just enjoy the comfort of having people around you who care about you, The Fountains is the place for you. Our residents make us different, coming from all walks of life. Their diverse experiences and background make The Fountains the great community that it is! We offer an array of activities, amenities and programs that have been developed with you in mind. Our mission is to offer each resident a healthy, active and enriched lifestyle. 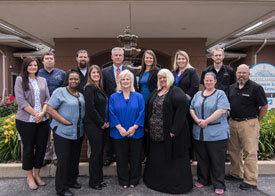 We are dedicated to meeting the needs of our residents every day. We hope to have the opportunity to visit with you to personally explore how The Fountains can become that special place you call home. To experience the best Senior Living in St. Louis, call us or come by today! 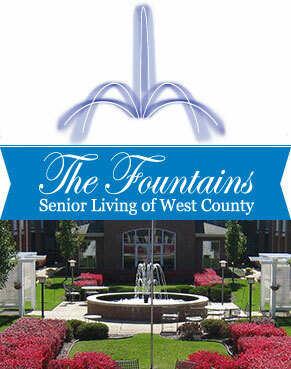 The Fountains of West County is locally owned and operated. Our owners take a hands approach with regards to the operations at each of their communities. >> Find out how we can become that special place you call home.